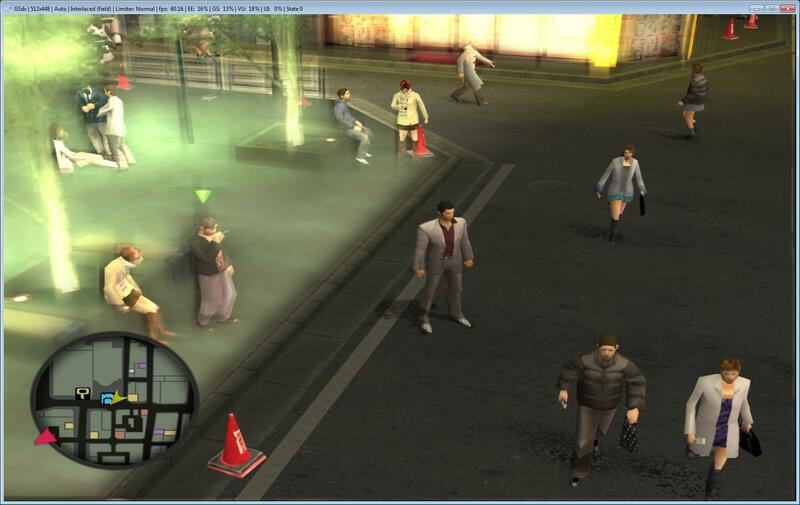 Any fix for the ghosting/bloom issue in Yakuza 1? 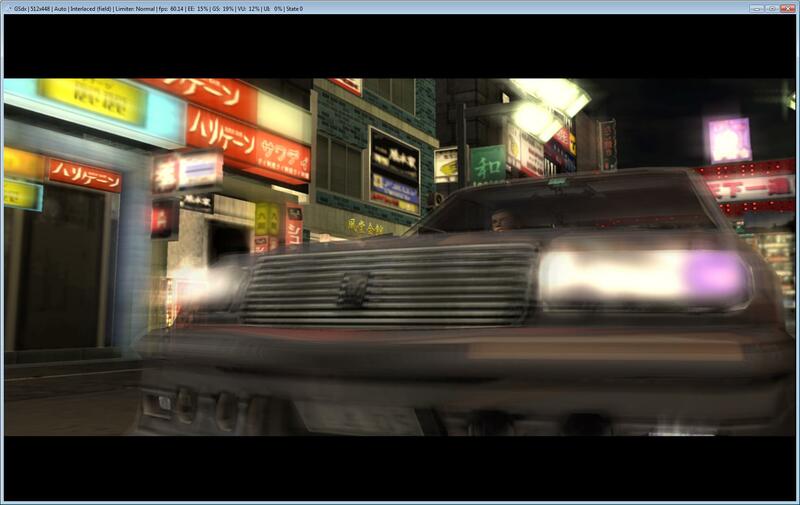 Having this sort of strange ghosting/bloom issue with the first Yakuza game. Tried looking around, but I couldn't find any fix for it. Any suggestions? The issue seems to go away when I run the game at its native resolution, or in software mode. But I'm wondering, is it possible to fix it while running above the native res/hardware mode? Some games just work better in SW mode or in native resolution, as they were never really intended to run in HD. 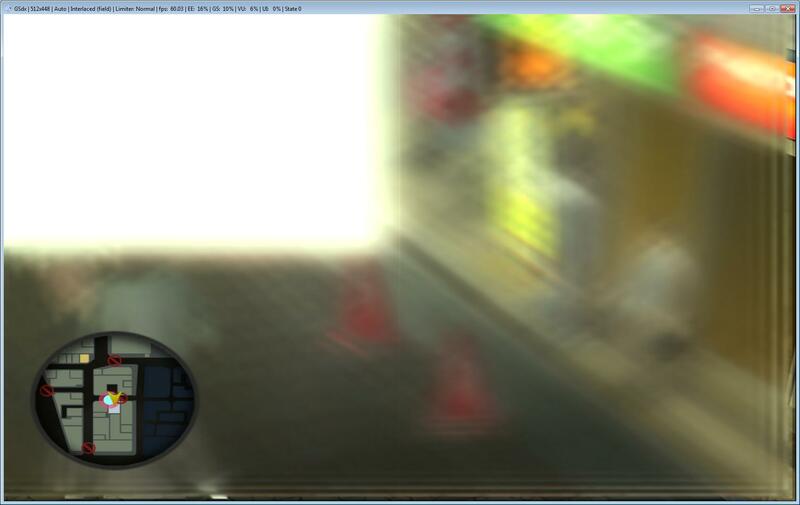 However, Yakuza does have specific fixes which improve the HW mode (though not perfect probably) by removing some of the bloom/blur. But these specific fixes only work if the game is identified as Yakuza, which only happens if your CRC is on our list. If it's not, please post it here (it appears on the console when you start the game) and we'll add it. Did you use dx9 or dx10/11? I found that bloom dissapear when use dx10 (if you talking about glowing bloom at the edges of the screen). Dx9 in hardware mode is deffinitely broken but no problem with dx10. Using DX11 (I have a 580 GPU), but yeah, I'm still definitely having the bloom problem. The ghosting/bloom issue isn't game-breaking or anything. If this is as good as it gets for now, that's fine. I was just hoping there might be something that I could do to reduce it. Tried various values with the GSdx skipdraw hack? Please post a screenshot and explain what part of it is wrong, such that we know we talk of the same issue. Also, please compare it to a good screenshot, and post it as well. Skipdraw off/@2 seems to provide the best results, but the ghosting/blurriness is still fairly prominent. 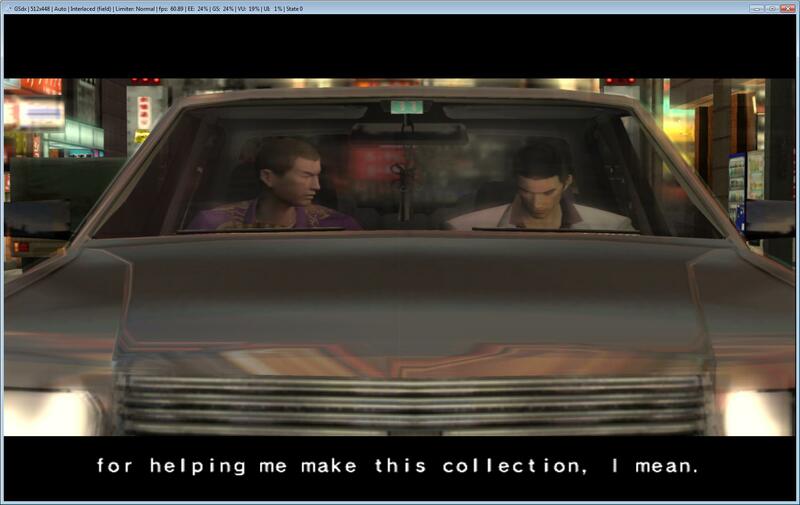 I'm also using DX11/HW as I mentioned previously, on v1.0.0 of PCSX2. Speedhacks were disabled as well.